Spend your golden years enjoying more time outside your home in the comfort, shade and privacy that an innovative canopy or pergola can provide. Aristocrat retractable canopies and pergola canopies give you the option to bask in the sunshine, to relax in the cooling shade, get protection from the rain, and to enjoy it all in privacy. A unique shade product that we custom design for your patio, garden or poolside, our canopies can be freestanding or attached to a house wall. Manual or motorized draped fabric slides across an aluminum frame or under pergola rafters. All Aristocrat retractable canopies, exclusively manufactured with quality materials from Craft-Bilt Manufacturing Company, are built to your specifications and carry a limited lifetime manufacturer’s frame warranty and a twelve year warranty on Craft-Bilt collection fabrics. 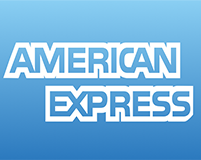 Age in Place Improvements can install an Aristocrat sun or rain canopy under your existing pergola, attach a canopy with side curtains to provide shade and privacy for your hot tub or spa, or create a covered outdoor dining area. 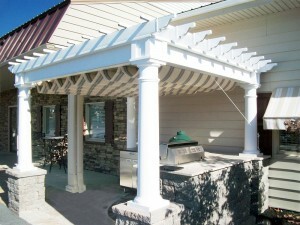 Our quality canopy products allow you to get more use of your patio, deck, or pergola in sun, rain or wind. 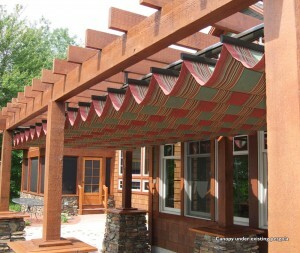 Pergolas and canopies are not just ideal for your home, but they’re a more reliable choice for outdoor seating at restaurants and cafes. 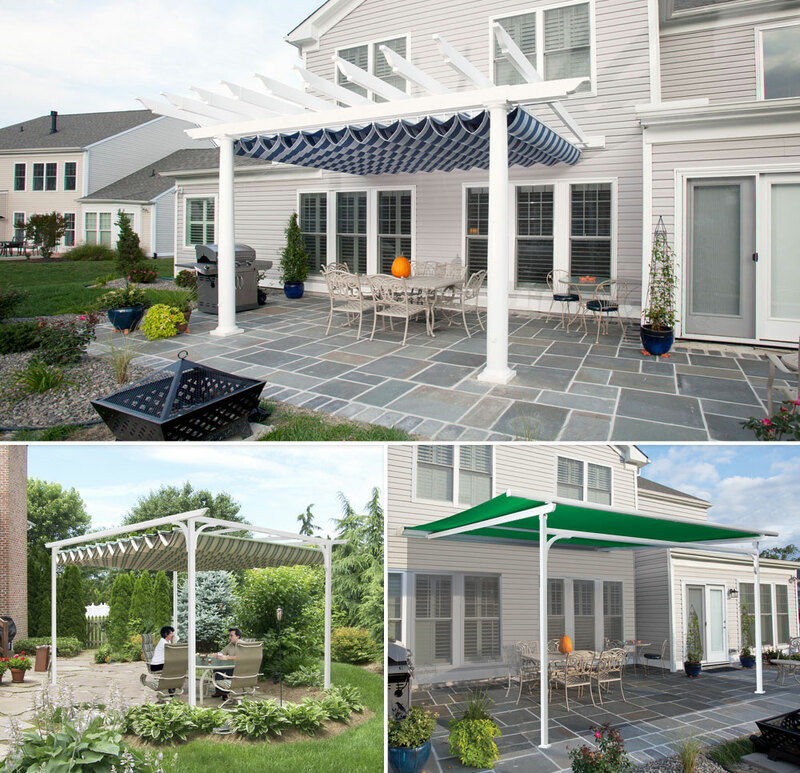 Umbrellas don’t provide complete protection from sun or rain for the entire table, and they’re much more susceptible to wind than pergolas and canopies.